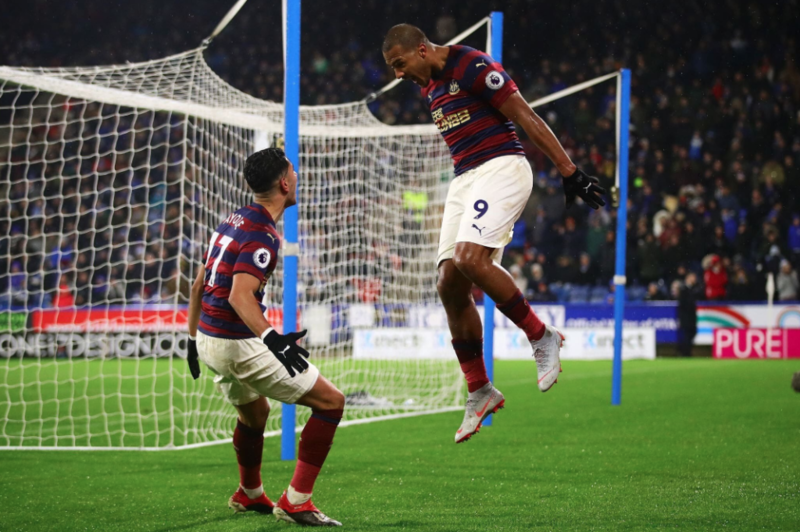 PLAYER RATINGS: Huddersfield 0-1 Newcastle – One 8, several 7’s, a few 5’s & one woeful 3 – NUFC blog – Newcastle United blog – NUFC Fixtures, News and Forum. It wasn’t pretty but we got the job done, with Rondon’s second half goal giving us all three points. Dubravka – 7 – Made a brilliant save to deny Billing’s long range free kick that was heading in the top corner. Another assured display where he didn’t disappoint whenever he was called upon. Manquillo – 7 – He gets plenty stick (and rightly so at times), but he stuck to his task pretty well today from a defensive perspective, also chipping in with the vital assist that set up Rondon’s goal. 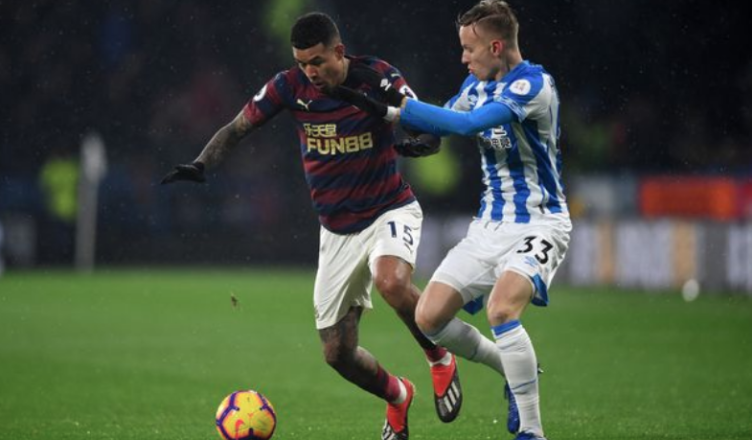 Lascelles – 7 – He was lucky not to have been sent off with a high and reckless challenge on Depoitre early on, however he was far better than he was last weekend. Won his battle against the huge Depoitre and steadied himself well after a shaky start. Kenedy– 3 – He had a real stinker. He struggled with simple passes, allowed their full back to get far too many crosses into the box in the first half and just did not look comfortable both positionally or on the ball as a left-wing back. Diame – 5 – His first half performance was very poor, with him looking slow, sluggish and clumsy, however he put in a huge shift in the second – tracking his man, constantly closing down and winning a few important battles. Ki – 5 – Looked tired and that showed as he struggled to keep with Billing who glided past him on occasion. Still one of our more composed players on the ball today, but failed to really dictate the play as he has at times recently. Atsu – 7 – One of few players showing any sort of urgency and will to break forward with the ball in the first half. He did what he hadn’t been doing earlier in the season and actually tried to use his pace to run at them. Perez – 6 – Played a big part in our counter-attacking goal, slipping in Manquillo before he squared to Rondon. Worked very hard and kept on going, but just needs to work on his ball retention as he had a tendency to give it away cheaply just when we need him to be stronger. Still put in a very good shift today and was unlucky to have a goal wrongly disallowed. Rondon – 7.5 – Was isolated and had so little service in the first half, but stepped up the to plate just when it mattered to prod home our all important second half winner. Some nice link up play to help take the pressure off us in the second half too after a frustrating first 45. Ritchie – 6 – Worked hard and showed his experience to run down the clock. Dummett – N/A – Not on long enough for a rating. Came on for Kenedy in the final few minutes. Don’t know what game you were watching but I would rather have an extra corner flag than Clarke. A little harsh on Kennedy, though not by much – did occupy a position and provided a wide option while keeping it compact, but still not back to 2017/18 standards – 4, then. A little generous to Lascelles (we know he is one of your favourites) – the umpiring was pretty poor, but a more switched-on/pro-active umpire could have pulled a red card out of Lascelle’s silly challenge – 5, at best. Not one of my favourites at all mate. I very nearly gave him a 6 but felt he stood strong in the end (he was the main man dealing with the physical depoitre) and also responded well after Wolves performance and shaky start yesterday. That has been Kennedy for most of season, we may have dodged a bullet not getting him permanently!!!! Guess this is why he couldn’t get in Chelsea side.